We pride ourselves on our quality workmanship and professional service because afterall, you only want the job done once. Lee has over 35 years experience in window tinting and has trained many others Australia wide including, Perth, Brisbane and North Queensland, so you can be assured that you have made the right decision in choosing us. 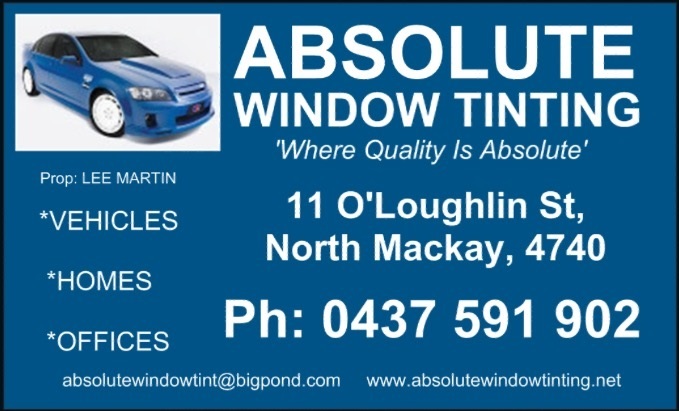 Please feel free to browse our website, if you have any queries or would like a quote please call 0437 591 902 Lee will be more than happy to help. We have EFTPOS for your convenience. We accept Visa, Mastercard & Cash.